Are you thinking about buying property in Nayarit Mexico? Are you looking for real estate buying information? Can foreigners purchase real estate in Nayarit? Border and Coastal Properties – Mexican real estate law states that yes, Americans, Canadians, and other non-Mexicans are able to legally purchase coastal and border properties if they are owned through a Trust Deed established with a Mexican bank. The property owner has full control of the trust so he or she can move the trust from one bank to another and are therefore not at the whim of any bank’s directives. Interior Properties – Foreigners may directly own rural or urban land in the interior of Mexico with certain limitations on specific agricultural tracts. When buying property in Nayarit, the Trust Deed is established through a Mexican bank assuring foreign buyers of all rights and privileges of ownership, and marketable title. Foreign Investment Law allows these deeds to be established for a term of 50 years and can effectively be renewed ad-infinitum for a nominal processing fee. This process protects the rights of foreigners and ensures that the transaction is legal and unencumbered. The trust deed is not to be confused with a lease, which has diminishing value. Property held by way of trust deed are valued no differently than similar property held by way of deed – Their value escalates in exactly the same manner and are taxed in the same manner as property in the United Sates. The rights of property ownership in Mexico are, in fact, more secure for the owner as compared to owning Canadian or American property. 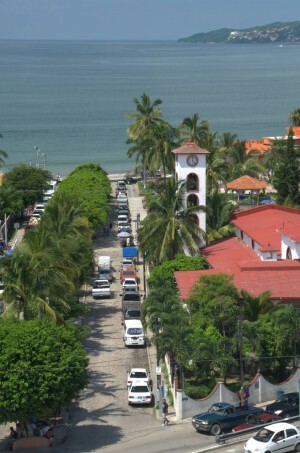 Property taxes on real estate in Riviera Nayarit are very low. Values are determined at the time of every sale as one of the requisite documents needed for a legal closing is the assessment tax appraisal, which is completed by a competent and licensed appraiser specializing in these property valuations. Nayarit property taxes have historically been low for real estate because they were never considered to be a significant source of governmental income. When buying property in Nayarit the closing process generally takes between 30-45 days. The paperwork and escrow processes is coordinated through a real estate office, a liaison lawyer, and a designated Public Notary. The Mexican notary system follows that of the Napoleonic Code in most European countries where the Notary must successfully complete his law degree, take an additional two years of specialized training, serve as an apprentice in a Notary’s office, and then receive an appointment to one of a limited number of Notary offices in any given geographic area. Mexican notaries are required to certify all documents prior to being accepted by the land registry and are also responsible for collecting the various taxes that must be paid as part of the costs of transferring title. The notary effectively acts on both the buyers’ and the sellers’ behalf to ensure that there is a legal closure of all required documentation. Property closing costs are traditionally paid by the buyer, with the seller paying any capital gains taxes and real estate fees. The buyer and seller need not be present at closing, but may be represented by their representative via a power of attorney. Foreign Investment Law now allows Mexican corporations — even those with 100% foreign ownership — to own real estate in the ‘restricted’ area (i.e. 50 kilometers from the high water mark and 100 kilometers from the boarders) as long as it is commercial property. Commercial properties in Mexico carry higher water and electricity rates, plus require additional governmental reporting. There is generally no advantage and often some disadvantages in owning a residential property through a corporation. For condominium owners, maintenance and security is handled by the Condominium Owners Association, paid for via monthly fees. Homeowners who will be away from their property for any length of time may want to consider a property management company. When buying property in Nayarit you should be aware that Mexico real estate buying information can change dramatically over time. For example, Mexican real estate law has changed regarding financing. The purchase of Mexico real estate used to be virtually all-cash transactions, with limited cases of owner financing available. Over the past few years the scenario has changed a lot and financing in Mexico is now readily available. When buying property in Nayarit, your property financing can be approved anywhere from 30 to 60 days, but every case is unique and it may vary. Many individuals arrange property financing in Mexico but they can look for it in their countries as well. American and Canadian banks now lend money for a real estate purchase in Mexico; there are a lot of investment companies who will also lend money for this purpose. One of our many services is to guide our clients during the whole process of getting mortgages in Mexico or their financing approved. For more information, please email info@rivieranayarit.com or call us at 1-800-960-5917. You may also want to check out our page entitled, Why Invest In Nayarit. A very large part of real estate in Mexico is classified as ejido land. Ejido land is not private property and cannot be bought and sold as if it were. However, since the constitutional reforms of 1992, ejido land can be converted into private property and sold to third parties, including foreigners. This article will briefly describe what an ejido is and how ejido land is classified, as well as the ways ejido land can be converted into private property. In general terms, an ejido is a collective group of people that live and work on a determined piece of property as a community. While the concept of the ejido in Mexico is prehispanic, most of the fundamental ideas and concepts that created what an ejido is today stem from the theories of democratic communism. Understanding this is very important when dealing with ejidos. Most people reading this article have grown up in a society based on democratic capitalism, where the individual and not the community determines what he or she is going to do. In a communist society, the community determines what it is going to do, including agreeing upon how the land is to be used. Taking this into consideration, it is easy to imagine the confusions that could exist when discussing ownership of ejido land. Most foreigners associate the word “ownership” with words such as “fee simple”, “private property”, “Adam Smith”, while the ejidatarios idea would be more on the lines of “community rights”, “right to use and enjoy”, “governmental concession”. Until ejido land is converted into private property, foreigners cannot acquire “ownership” of ejido land in accordance with their understanding of the word “ownership”. 1. Ejido land cannot be sold to non-ejido members until it is converted into private property. There are exceptions where non-ejido members can acquire “posessionary” rights to ejido land; however, the rules governing posessionary rights are not very secure, especially for foreigners. 2. Foreigners cannot legally become ejidatarios. 3. What an ejidatario understands as ownership is often different than your understanding of ownership. 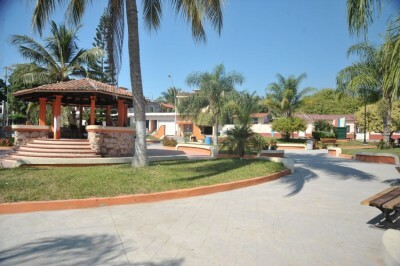 Visit this page to see Real Estate Investment Properties in Riviera Nayarit. Get the hottest deals and latest news in your inbox!